Subaru vehicles come with a number of exciting features and upgrades, depending on the vehicle and trim options you choose. Here are our top 5 recommended features you should ensure your new Subaru vehicle has. In Niagara, heated seats are a comfort during the cold weather. Until recent years, heated seats were a significant luxury unavailable in most vehicles – however, they have become much more common and are an available feature in most vehicles, making driving in harsh Ontario winters a far more pleasant experience. Subaru StarLink is one of the most comprehensive, user-friendly, and value-packed dash interfaces on the market. With the StarLink infotainment system, you have access to a number of different apps and services in the vehicle, using your smartphone for connectivity and data. With the StarLink infotainment system, driving doesn’t mean having to completely disconnect. With Android Auto or Apple CarPlay, you can keep your hands safely on the wheel and your eyes on the road while still having incredible functionality. With Android Auto or CarPlay features in your Subaru, you can use the infotainment screen to navigate, giving you access to features such as messaging, phone calls, podcasts and music. Plugging your phone into your Subaru with a USB is a thing of the past. As part of the Subaru EyeSight package available in select new Subaru vehicles, the Adaptive Cruise Control isn’t just convenient – it keeps you incredibly safe on the road. Using EyeSight cameras, the vehicle maintains a distance you set between your vehicle and the vehicle in front of you. When necessary, the EyeSight system will adjust your speed automatically to ensure you maintain the pre-set distance. The Subaru Pre-Collision Braking System is also available as part of the Subaru EyeSight system. The Pre-Collision Braking System assists drivers to avoid or reduce front impacts and collisions. It does this by alerting the driver, and applying full braking force if you do not manually stop, or in the event of an emergency situation. An IIHS study found that with the use of EyeSight features, including Pre-Collision Braking, the rate of pedestrian-related insurance claims dropped by 35%. 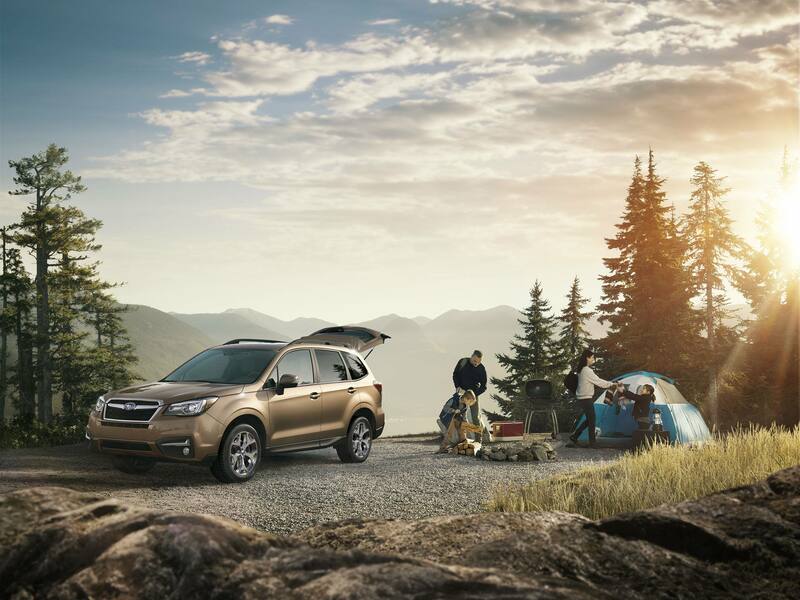 For more information on features that you could benefit from in your Subaru, visit Subaru of Niagara today.